After having recently awarded by DENR for Sustained Good Performance in the Implementation of Republic Act 9003 last March 6, the expectation of Quezon City residents is for their city to live up to it. A boost to the morale of Quezon City dwellers, for sure. DMCI Homes, being the good developer that it is, is making sure that it complies with Quezon City’s commitment of green building programs. 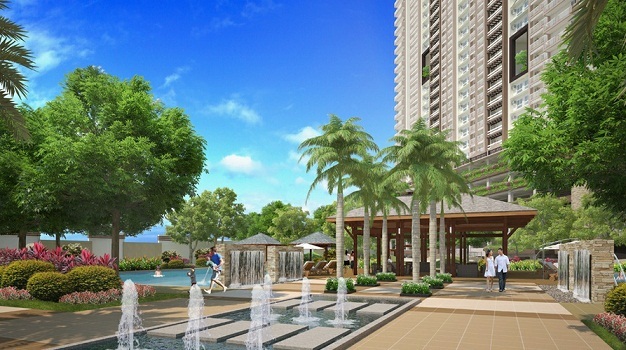 Given this, DMCI ushered in the Lumiventt Design Technology in Zinnia Towers, a new project, which is a first in the area. This project is incorporating DMCI Homes‘ signature green design that allows ambient lighting and fresh air to and fro the building. Something that is not very common in old school condominiums. The Zinnia Towers has 2 high-rise buildings embraced by luxuriant greeneries, blending with its synchronic tropical-themed structural design. If you are looking for a Condo within the vicinity of New Manila, Quezon City, this is the one place you might want to head over and consider.